Many people have memories of camping when they were younger: Making a bonfire; Roasting s’mores with the family; Or, taking a few attempts to put up the tent. 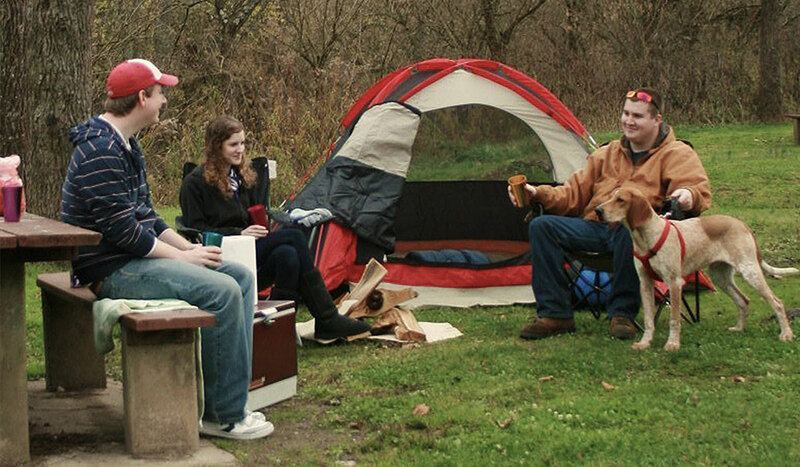 Washington County offers numerous camp sites that allow visitors to share these same incredible experiences with their own children. Whether you enjoy the comforts of a cozy RV, or setting up a tent in an out of the way rustic camp site, you will find what you are looking for in the southern Ohio area. Leith Run is a popular site for campers to spend a few nights under the stars at Wayne National Forest, Ohio’s only national forest. Enjoy horseback riding, kayaking, canoeing and other outdoor activities before gathering around the campfire with a cup of hot cocoa in hand.